DEASEL WEASEL "Everything new, now it's the same? "…These 4 alternative rockers from Graz managed to discover their very own sound! Do you want to be the next featured artist like Deasel Weasel on LiveTrigger magazine? Hi. 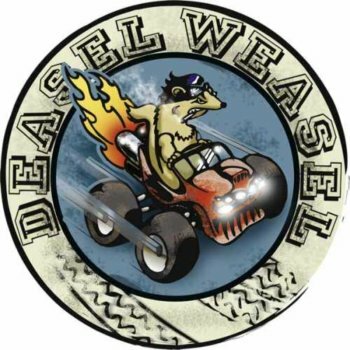 Tell us something about Deasel Weasel project. Deasel Weasel started out as a fun project in 2009. We were 4 guys coming from different bands in the Rock and Punk milieu (scene). Though each one of us had (and still has 😉 ) his very own musical background and preferences, we had one thing in common: the love for musical variety! At some point we all agreed that bands and acts, who are still doing the exact thing they already did 10/20 years ago, are rather boring (we call it “the offspring- principle” – no offense though!). So together we started playing some music, mixing and quoting any musical style that came to our minds and – what can we say? – it was awesome! Soon we noticed that it wasn’t just us who wanted more, but there’s actually a lot of people out there who appreciate a certain variety/range in a band’s repertoire. Deasel Weasel: Music with no restrictions! On Livetrigger.com you define your genre: “easy going pop music with experimental rock tunes”! Can you help us understand what does it mean? To be honest: A few months ago we referred to our music as “progressive grind-pop”. Easy going pop music with experimental rock tunes! Tell us something about your last musical production. Over the last year we recorded our first official album named “… second thoughts”, which will be released in May 2015. On the one hand the name is kind of a joke since it’s our first official CD. On the other hand there’s actually a lot more to the title: You see, even though this is our first official album, it’s not our first record. After our first record session we had the feeling that now – right at the end of the session – we know how to do it. All 4 of us would have just wanted to record the whole thing again – now with the right knowledge and skills. But we already had a few new songs in the bank – so we decided to get some more, record a new album and make it the best debut album we can possibly make. Compared to our Demo-Compilation “It’s On!” it’s more straight-forward and we tried to evolve our sound to obtain a clearer “sonical view” for the listener. How is being a band from Graz? Tell us something about Austrian musical movement? But when you look closely you will find a very active (and actually very good) musical underground. Though you would expect this in other areas like Vienna or Salzburg you certainly wouldn’t expect it here. But because Graz is a university town it is also some kind of a cultural – and therefor musical – melting pot, where people from all over the world meet and experiment. It is certainly not a bad place to start a band and it’s definitely a factor that is reflected in it’s bands sound and style. Don’t get us wrong! Being a musician in Graz sure has its downsides. For example – since it’s a very small city, it is way harder to reach a bigger audience. In addition you rarely get any financial support (or reward). But that’s just to name a few of the problems you are struggling with, when you’re in a band in Graz. All in all, Graz’ underground scene is largely self-organized, so in the end you always find a way to get things done and to keep on rocking, which is nice! Are you connected with other bands or musical movements in Austria or outside your country? Secondly, we’re strongly connected with the guys from “Takeaway Sound”. They are DJ’s, music producers, live band, record label, and they are very talented and open for crazy ideas (That’s why we get along so well!). Recently they remixed one of our new songs which turned out great (Waiting for the Sun – Deasel Weasel feat. Takeaway Sound (Takeaway Sound Remix). To us, Takeaway Sound is not just our online label as well as colleagues, who’s creative input is always appreciated, but also long-time friends. What’s the best live act in your area? Tell us something about it. Deasel Weasel! A young but very talented band! They’re awesome and maybe the best thing you’ve ever experienced! Graz has a very good underground music-scene. Just hit any venue in Graz and you won’t be disappointed! The thing is, after every show – no matter if you attend off or on stage – this particular show is the best show until the next show. No Matter which act: there is always this excitement, there is always lots of other people, who came for the same reason you did, there is always good music (well, almost always). But it’s an event that somehow moves you and that makes it the best event that you experienced – until the next show. Even though there are moments in our band-history which were pretty unpleasant, they’ve never been really “bad”, but rather awkward. But after some time you learn to see these moments as what they really are: extremely funny situations! You learn to laugh about them, sometimes there’s even some kind of lesson to learn from. Did you plan to have a tour in the next future? Tell us something about it. What do you think of Livetrigger.com? Do you think it could be a good tool to facilitate the process of booking and organizing shows? Do you have any suggestions? We think Livetrigger is a good platform for bands to organize a tour outside their region or country and to network with other artists. However, there should be much more venues and bookers available for the European region. But we think it’s only a matter of time. So, good job, so far!